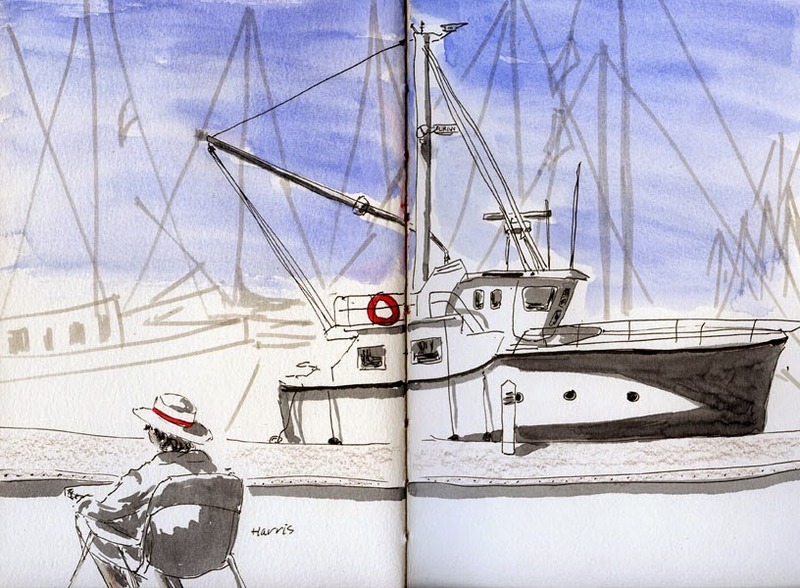 8/17/14 Shilshole Marina with Harris sketching. 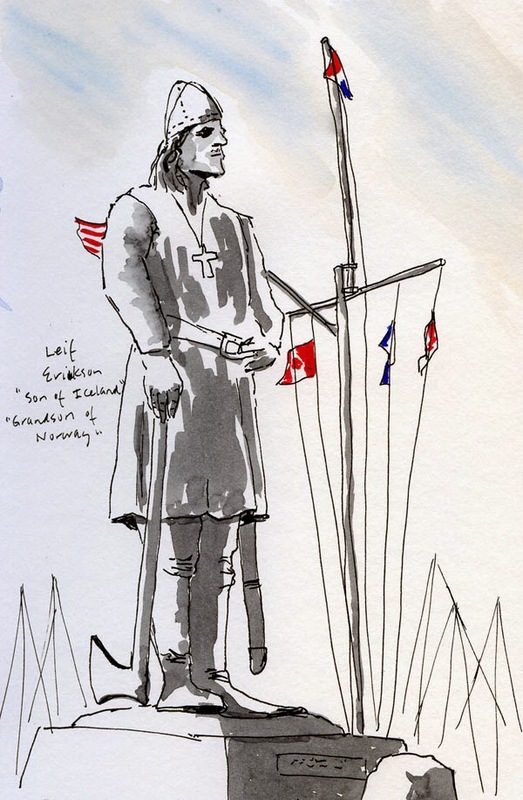 8/17/14 Statue of Leif Erikson. 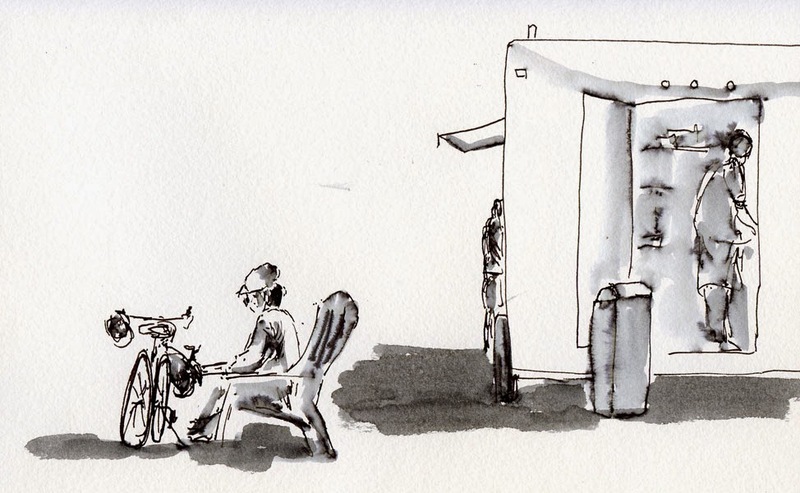 8/17/14 Peggy sketching next to the food truck.